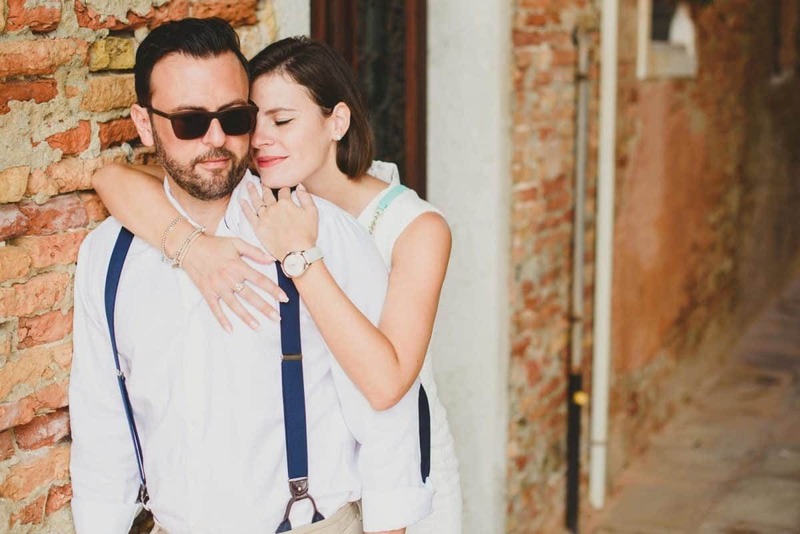 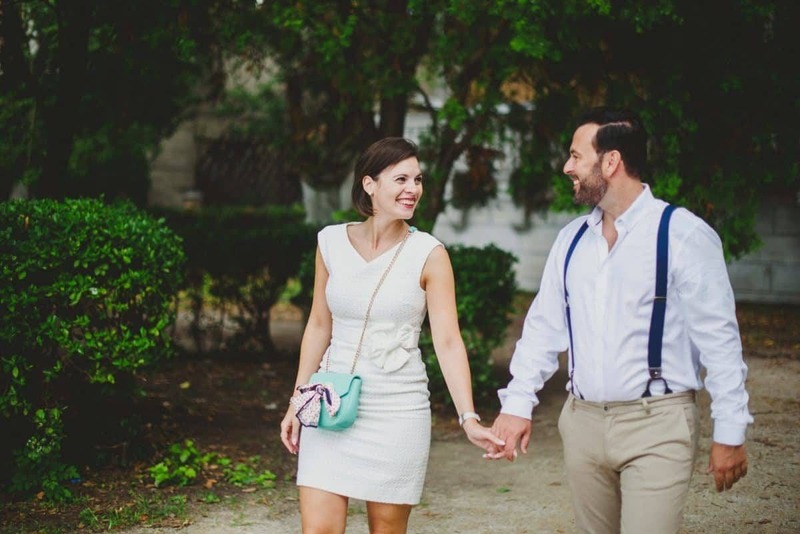 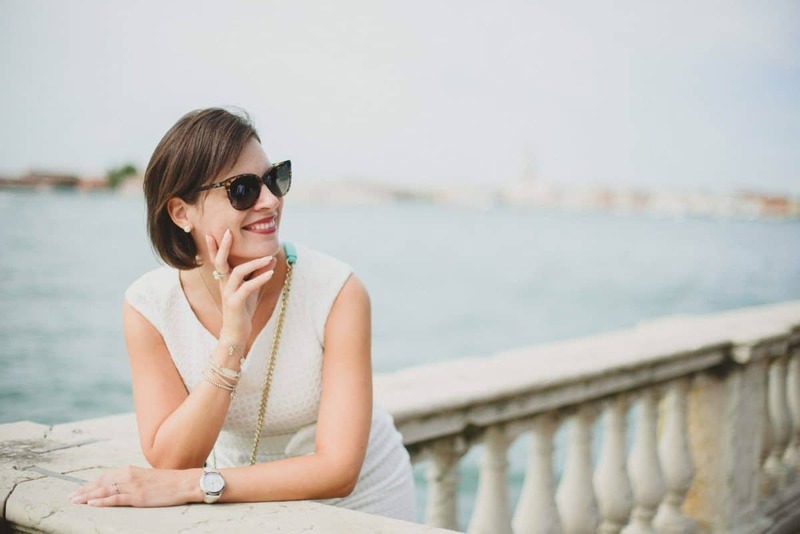 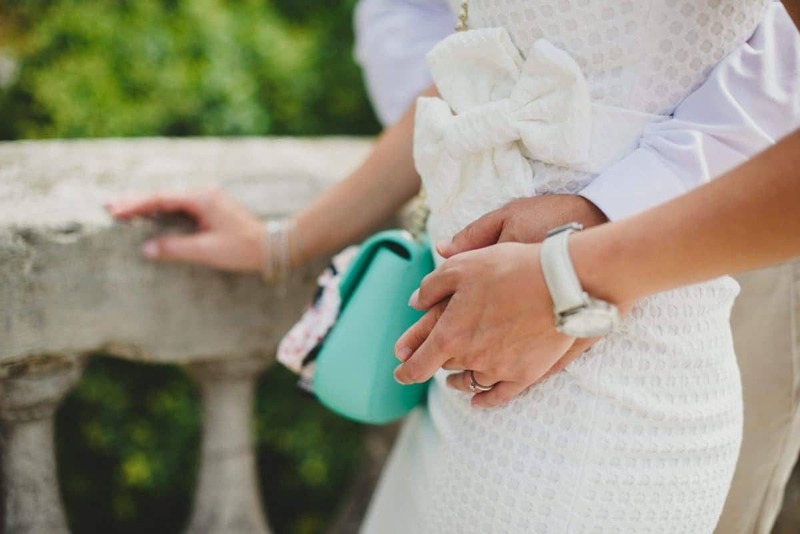 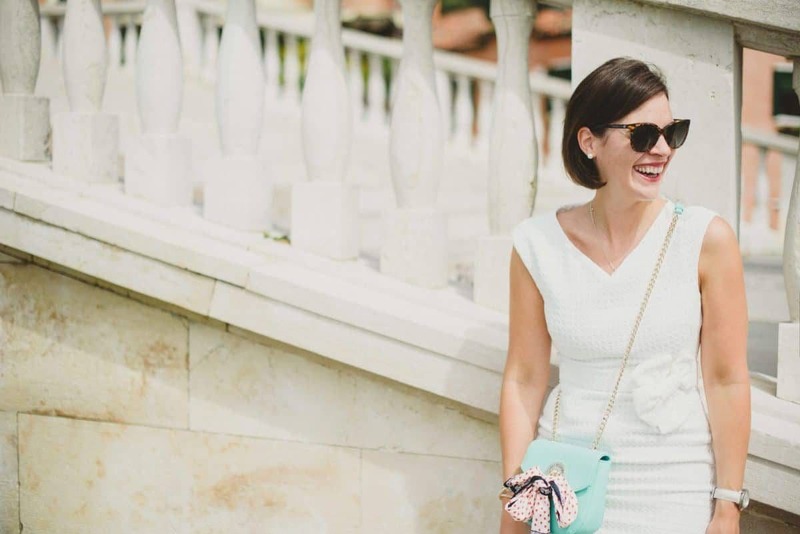 Late summer in Venice, a little white dress, a shirt, and suspenders – let’s get classy! 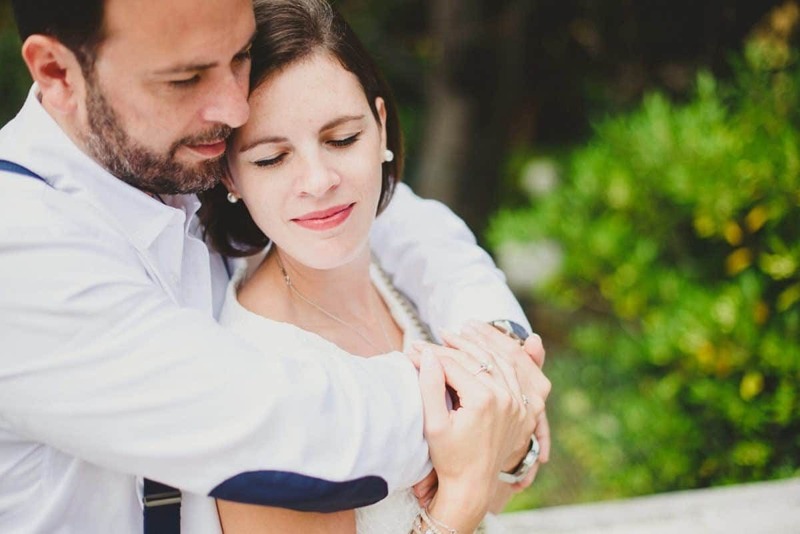 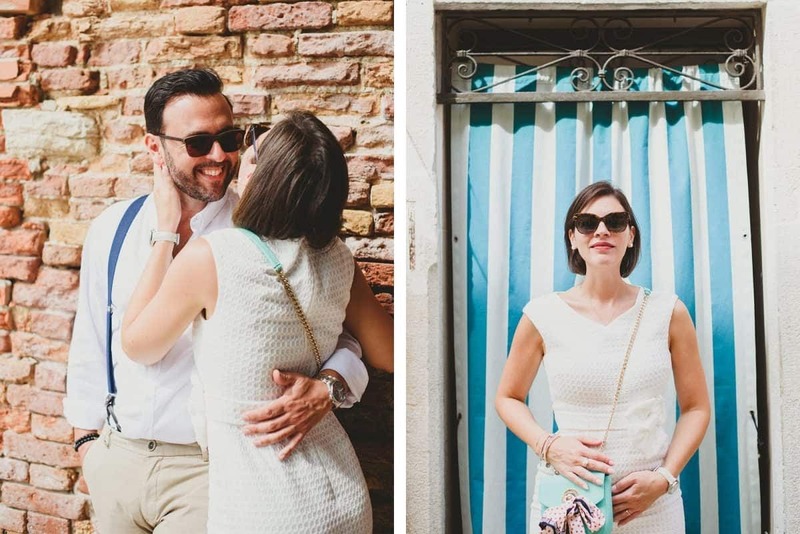 We love this couple shooting in Venice, so classy and charming. 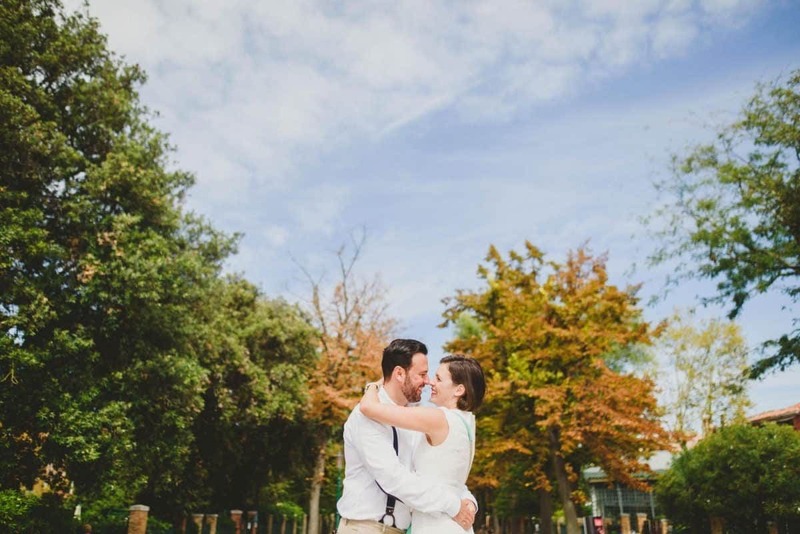 A simple walk in a non-touristic area of the city can create beautiful images – here they are! 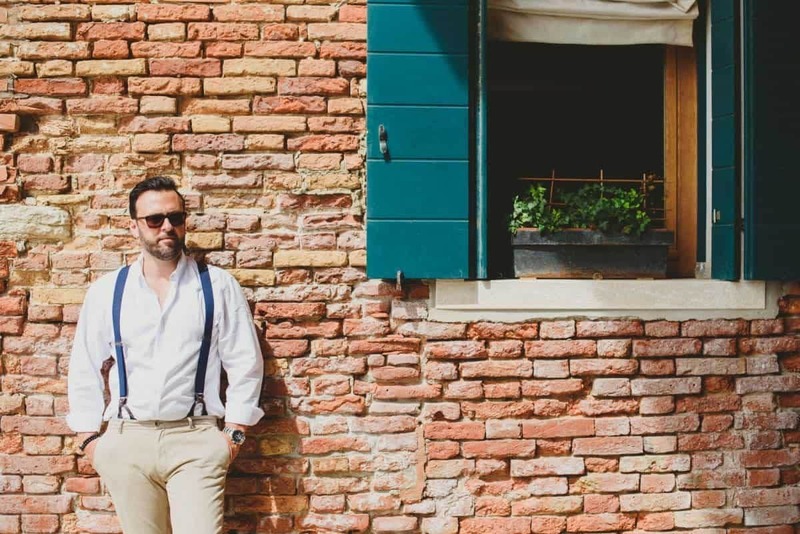 The whole city of Venice is beautiful and perfect for couple shootings, but normally we prefer shooting in peculiar yet not too touristic spots. 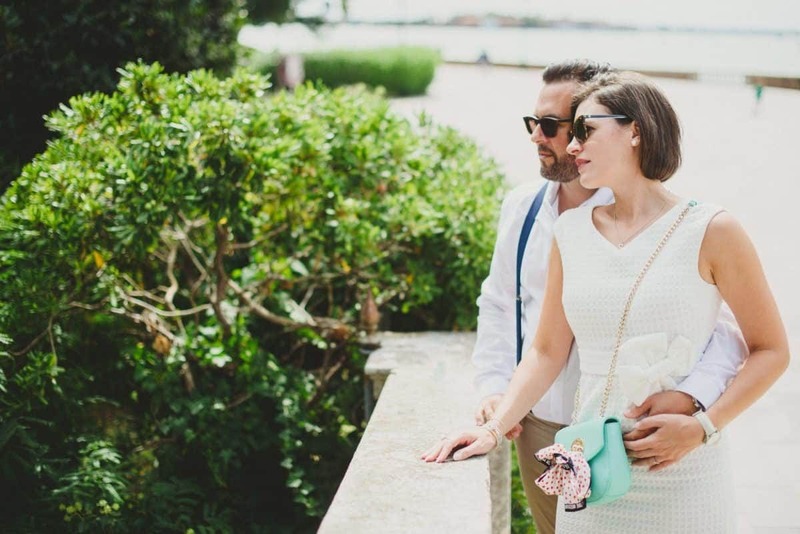 That’s why the Arsenale was the perfect choice for this shooting and is a great starting point for any couple portrait session: a stunning view of San Marco, many trees and nature, and the unmistakable architecture of Venice. 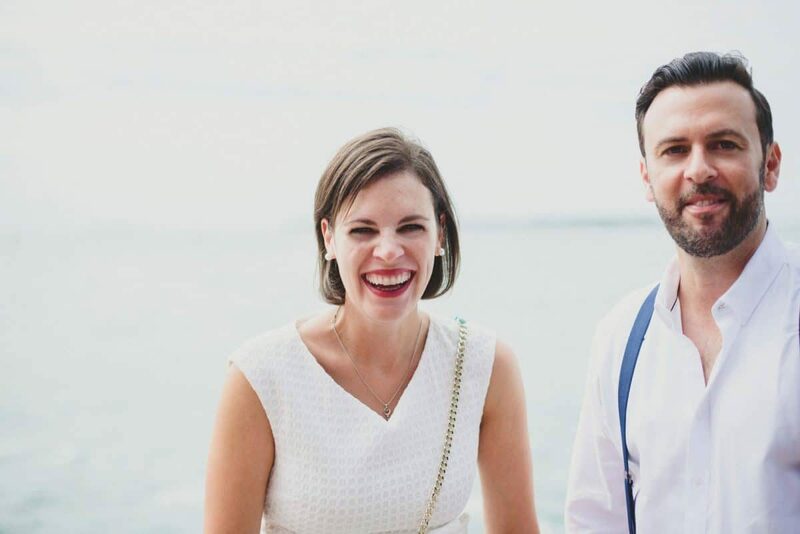 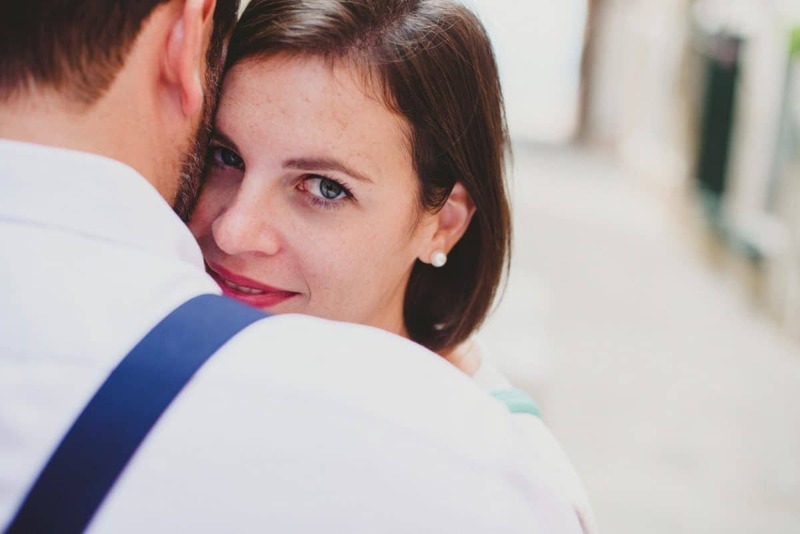 Sarah and Adriano are a beautiful couple from Switzerland who will get married in Venice in 2018. 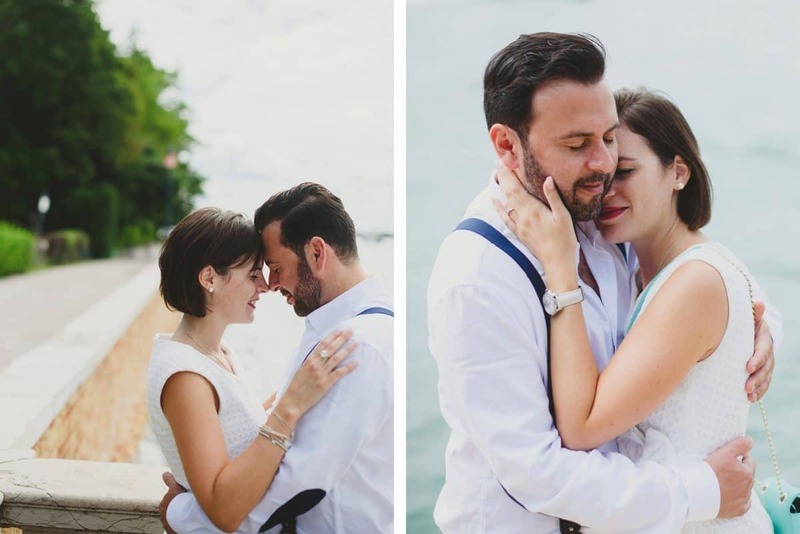 The wedding will be planned by Weds Cris – so was this lovely engagement shooting! 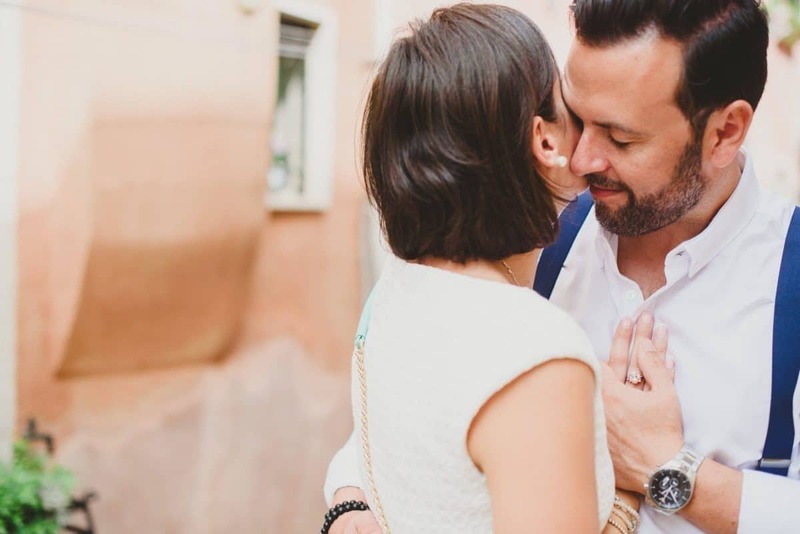 Having an engagement session before the wedding can be a great way to break the ice and feel more comfortable during the wedding day. 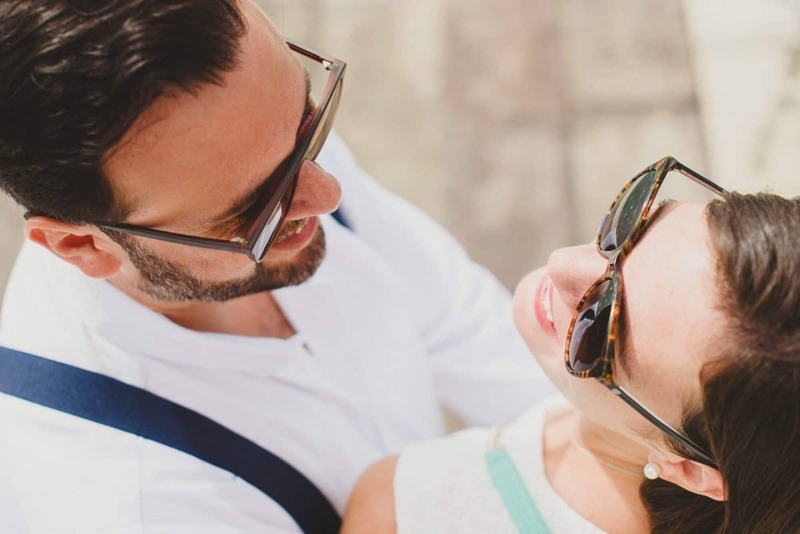 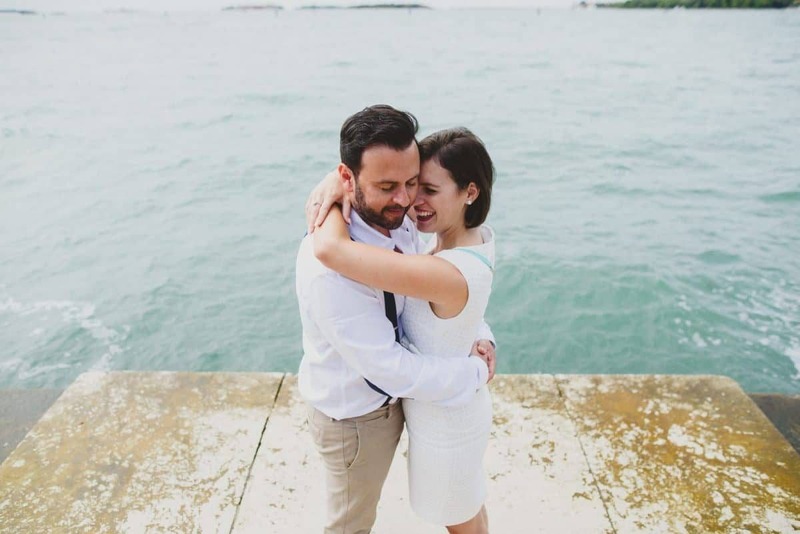 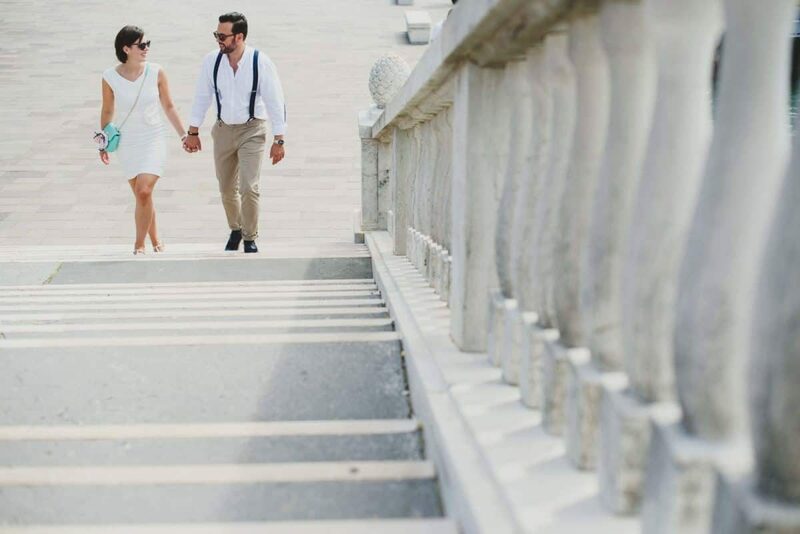 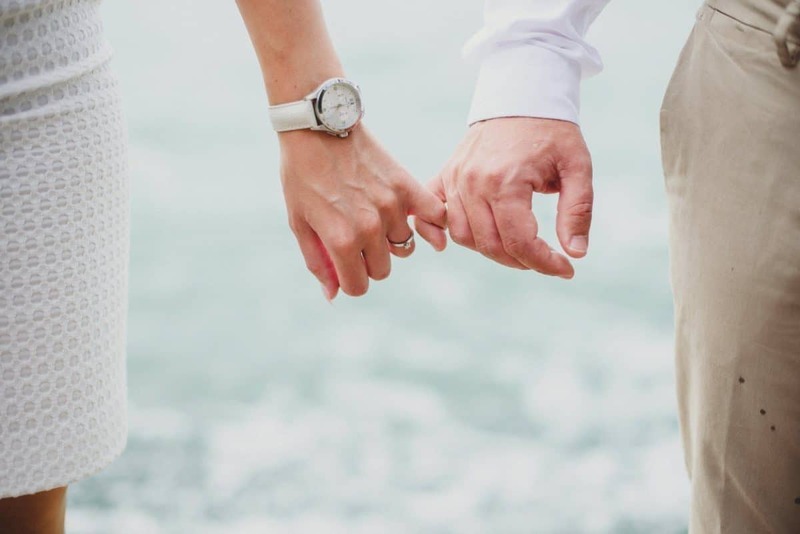 For weddings that have been planned months and months ahead, this engagement photo session can be done when coming to Italy for a site inspection, or at the couple’s hometown. 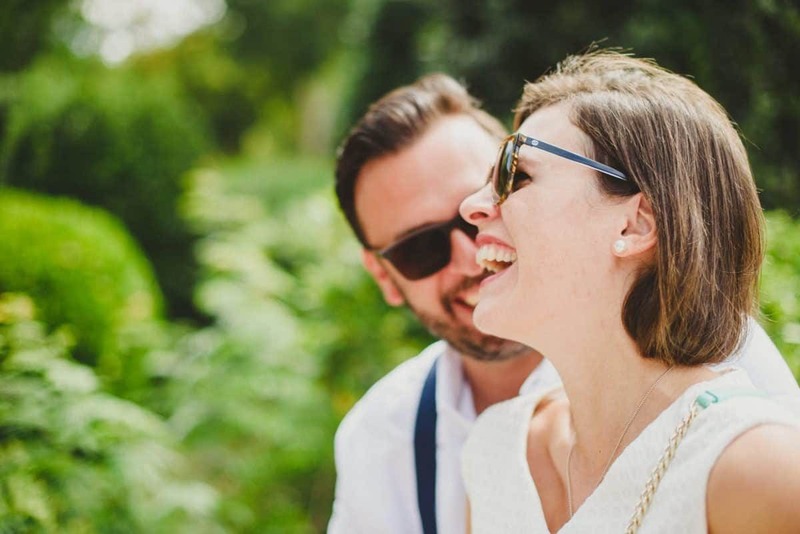 It’s a great way to start knowing each other, and to have some lovely photos of the beautiful time as an engaged couple! 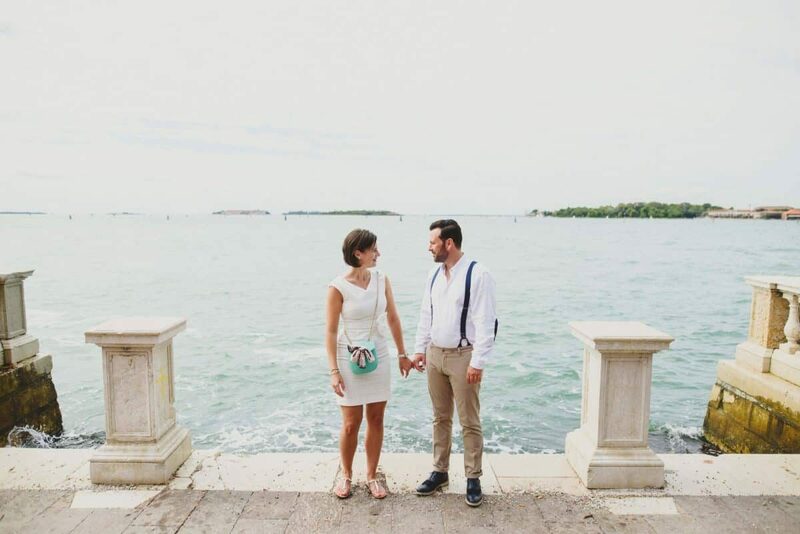 With Sarah and Adriano we had a walk in the less touristic areas of the city of Venice, such as the Arsenale. 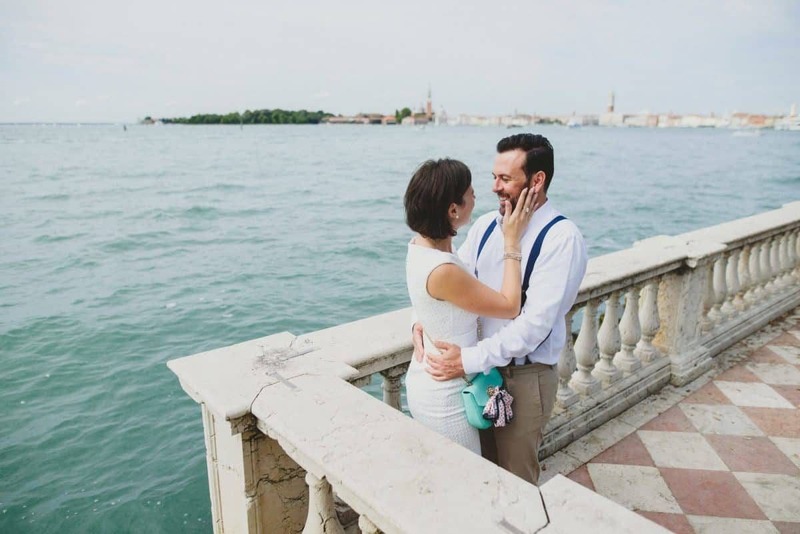 From that beautiful shore, there’s a stunning view on San Marco – just perfect to see Venice from a different perspective! 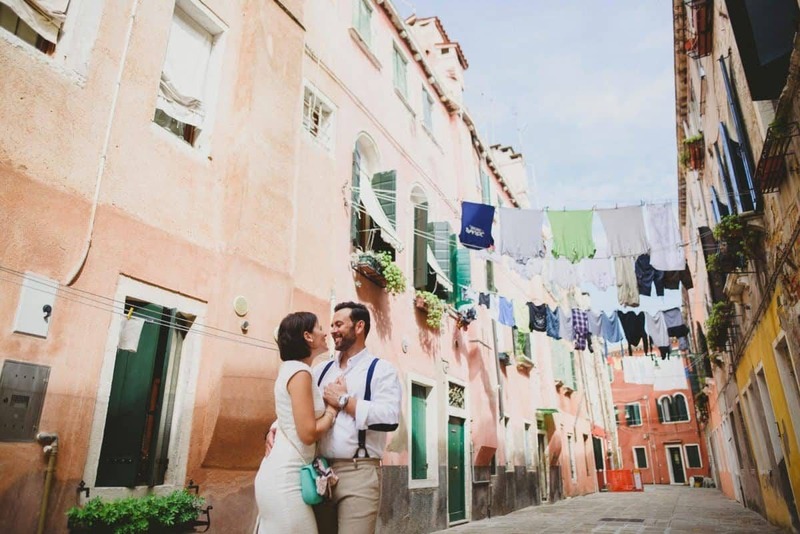 Sheets hanging from the windows, bright colors and a sunny day – the best of Venice!